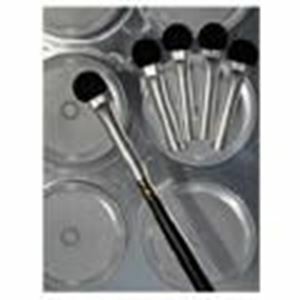 The Grimas foam applicator set consists of a holder with an applicator (sponge tip) which can be used for applying powders e.g. eye shadow and blusher. The applicator set comes with a pack of four spare applicators. The pads can be ordered separately.